Chester-Burton, Beverly – Maryhurst Academy - I believe that as educators we must be leaders in our profession. I have served on various district and JCTA committees such as LEAP. I would like to continue my participation by serving on the District Evaluation Appeal Panel (DEAP) to ensure fairness and equity for all. Dunnagan, Philip – Highland Middle - I am running for RE-ELECTION to the DEAP. I am a former Asst. U.S. Attorney, and am a member in good standing of the KBA. Teaching has become more difficult. 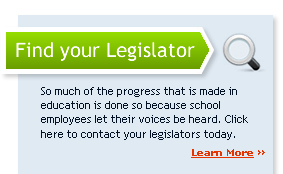 If you believe teachers should absolutely be afforded their Due Process rights while evaluated, please vote for me. Herder, Laura – Carter Elementary - I would appreciate your vote for a position on the DEAP. I am deeply committed to serving on the panel to ensure reasonable evaluations are being conducted on the teachers of JCPS. Thank you! Mayfield, Jackie – Middletown Elementary – As a current JCTA Board member, I am seeking to be your voice on DEAP, District Evaluation Appeals Panel to ensure fairness in the evaluation process for all JCPS Staff. Nichols, George – Iroquois High - I would like to inform you of my interest in the Election for the District Evaluation Appeal Panel. I feel that I could serve well in this position with my experience as a JCTA building rep and mentor to new teachers in my building. Thank you for your consideration. Williams, Dwan – Seneca High - I’m currently at Seneca High School and would like to be considered for DEAP.